This area of law is one of the most contentious and hotly debated topics in family law. The general rule is that, unlike couples who are legally married, common law couples (i.e. couples who reside together but remain unmarried) aren’t entitled to the equalization of their family property. 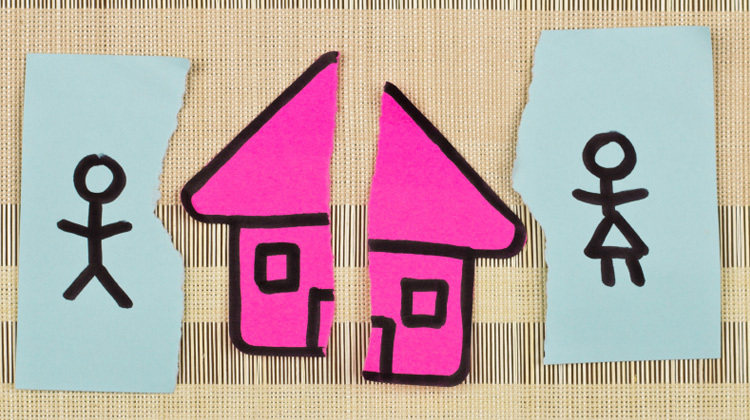 Under Ontario’s Family Law Act (FLA), which is the legislation that governs the division of property, only legally married couples benefit from the law mandating the equalization of family property upon divorce. As such, each person in a common law relationship will only be entitled to that which they brought into the relationship, or that which they acquired during the relationship. You can probably guess that this raises more problems that in cures. If that was your first thought, you’re not far off. In fact, many people are confused about how such a system can work in practice. Take, for example, a situation where two people have been living together for some time – say 5 years or so – how do they go about sorting out which partner bought what during the relationship, or enumerating the items that each partner brought into the relationship. The general rule in that regard is as follows: things that are bought during the relationship belong to the person who bought them, and things that were jointly purchased during the relationship should be divided amongst the partners based on their respective contributions (i.e. Person A paid for 75% of the couch, therefore, Person A is entitled to 75% of the proceeds from the sale of the couch). The same rule applies for the family home: it belongs to the person who purchased it; and if it is jointly purchased, then it’s apportioned based on each partner’s financial contribution to its purchase. The same principle holds true for debts and liabilities: each person in the common law relationship is responsible for their own debts. However, if the debt is owed jointly by the partners, like where both partners’ names are on the mortgage, then they’re jointly obligated under that debt. Interestingly, the bank, or debtor, can pursue one or both of the partners if they choose. So… how does a person in common law relationships acquire an interest in an asset that belongs to their former partner? The answer is very complicated, but essentially they’ll need to rely on the equitable principles of Construct Trusts and Unjust Enrichment. You’re probably wondering what the hell that means? If so, keep reading! The equitable principles of constructive trusts and unjust enrichment protect individuals who have been in longer-term common law relationships, during which time they contributed to an asset that is solely owned by their former partner. This can include things like real property (family home), a savings account, or even a pension. The principle is based on the idea that if a person contributes to the acquisition, or maintenance, of an asset that is owned solely by another, then that person should be able to acquire an interest in said asset. Otherwise, the principle states, the person who owns the asset(s) will be unjustly enriched at the expense of the non-owning partner. In order for a petitioning individual to prove unjust enrichment, they’ll have to show that they and their former partner were engaged in a “joint family venture”, and that their former partner is retaining a disproportionate percentage of the ownership of the asset(s) or profits involved in that joint family venture. A reviewing court also has the power to award money (monetary) relief for unjust enrichment even if there is no link between that partner’s financial contributions and the asset(s) in dispute, if one of the partners is able to prove that the other will be unjustly enriched as a result of retaining a disproportionate share in the profits of their joint family venture. Yes, this is a complicated and highly technical area of law, which sadly, is not fully developed or in-line with other equitable principles. · Was the asset(s) in question purchased through pooled-resources? Meaning, did the former couple pool their money together to purchase the asset(s) in question? · Did the couple make decisions jointly with respect to the asset(s), as well as their finances? The answer to this will give the court insight into the actual arrangement between the former couple, which may give insight into their intentions. · How integrated were the assets of the parties, and did they share things like joint bank accounts and credit cards? · Based on the actions of the parties, did they view their relationship as equivalent to a marriage? · On their yearly tax returns, did they self-identify as being in a common law relationship, or did they state that they were single? · Based on all the circumstances of the case, did the former couple prioritize the needs of the family as a whole over their own individual needs? This can be determined by looking at decisions they made during the time of the relationship, and can include things like changing jobs for the sake of the family, etc. The general rule is that the longer the relationship lasts, the more children that are involved in the relationship, and the more integrated the couples’ finances were, the more likely a court will find that they engaged in a joint family venture. If the court determines that a joint family venture existed between the former couple, the petitioning partner will then need to show that their former partner unjustly and unfairly profited from said venture, and is now leaving the relationship with a disproportionate percentage of the asset(s) or profits made or acquired during that joint family venture. More specifically, you’ll have to show evidence that, as a result of the contributions that you made, whether by way of labour or financial, your former spouse has been unjustly enriched, and that you’ve suffered a deprivation as a result of making those contributions, and that no legal justification for your former partner’s enrichment exists in law. Some people are surprised to learn that they’re able to acquire an interest in asset(s) or profits legally owned by their former partner through labour contributions that they made over the years. The justification for this is that your labour contributions may be directly linked to the increase in value of a specific asset. For example, you worked extensively on home renovations, which directly increased the value of the property owned by your former partner. In such a situation, a reviewing court may find a constructive trust in your favour, and order that you be given a specific ownership percentage in the property that corresponds to the amount of labour you provided. Labour isn’t the only way you can gain an interest in property owned solely by your former partner. In some situations, the work that you contribute to the joint family venture can be less specific. For example, let’s say you were solely responsible for the household chores, as well as the upbringing of the children, which allowed your former partner to maintain employment or build a business. In a case like that, the court can award you a percentage of your former partner’s business based on the unrelated contributions that you made to the joint family venture. It is very important to note that those interested in bringing a constructive trust/unjust enrichment claim against their former common law partner must do so as soon as possible after the breakdown of the relationship. If you fail to bring the claim within two years after the end of the relationship, then there’s a likelihood that the opposing party can argue that the limitation period to bring the claim has lapsed, and thereby bar you from pursuing your case in court. If you need help filing a constructive trust/unjust enrichment claim against your former spouse, please visit LawyerSelect.ca, and they can refer you to a Toronto Family Lawyer who specializes in these matters.